The Rick Martin trade tree’s life got a big boost when Evander Kane was dealt for a pair of draft picks at the 2018 NHL Trade Deadline. Little did we know that it would get an even bigger boost this summer as Ryan O’Reilly was dealt for a big package of players and picks. 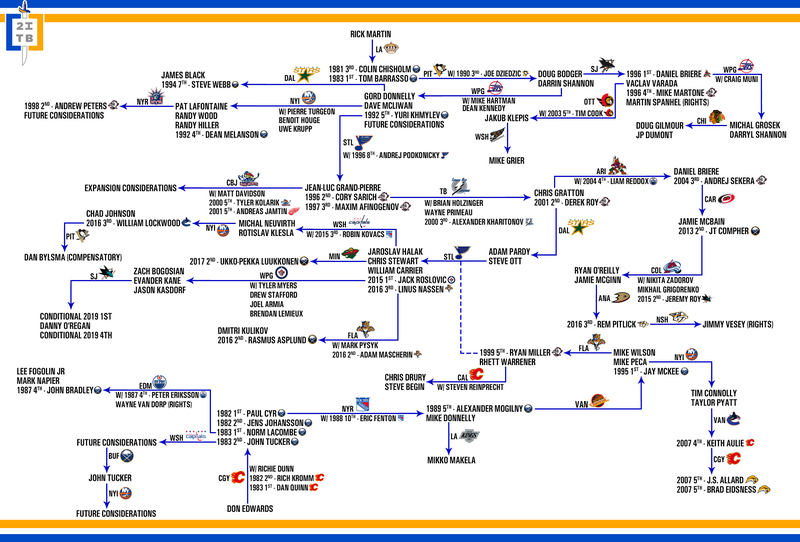 Tage Thompson and the pair of picks the Sabres acquired give the team a trio of solid assets to build with and all three could one day contribute to future growth of the trade tree below. We’ll probably see a branch or two more from this tree before it finally runs its course. Underwhelming return aside, the trade that sent Evander Kane gave added life to two of the biggest pieces of Sabres history. 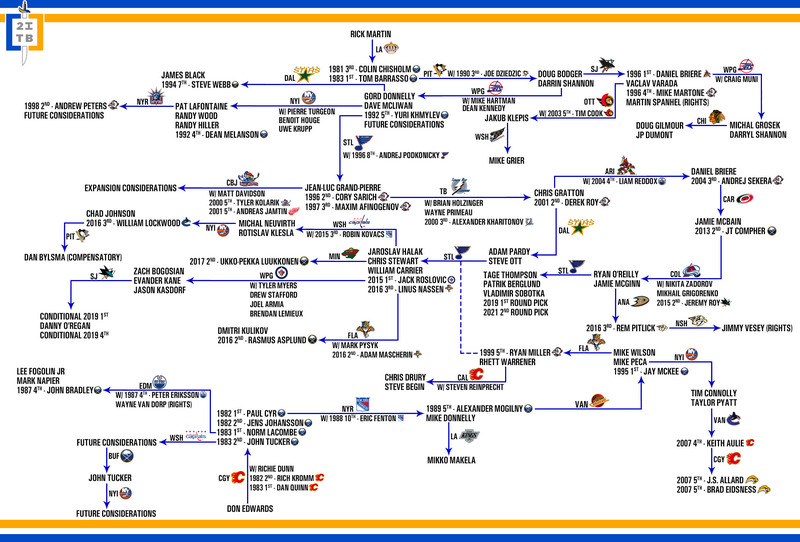 The Rick Martin and Don Edwards trade trees, which converged with the deal that sent Ryan Miller and Steve Ott to St. Louis in 2014, will roll for quite a bit longer now that the Sabres have two more 2019 (or 2020) picks in their pocket.